Robin Street Market - The Market Blog: Winner Of Our Dutch Christmas Giveaway! We are very pleased to announce that Lickrishfairy (I'm sure that's not her real name but it's very cute!) is the lucky winner of our most recent giveway. Congratulations! Thanks to everyone that participated, and a special thankyou to Leonie for being clever and talented enough to make the gorgeous giveaway prizes. 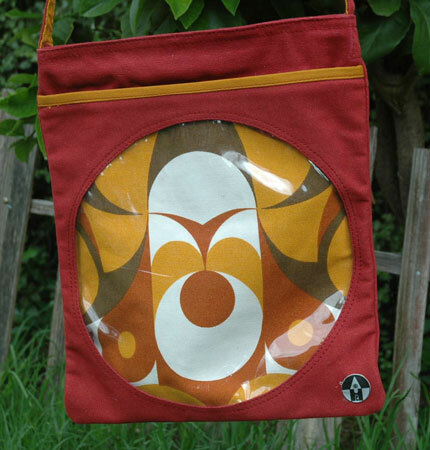 To check out Leonie's unique range of products (including this funky red circle canvas bag) you can visit her artist page here.